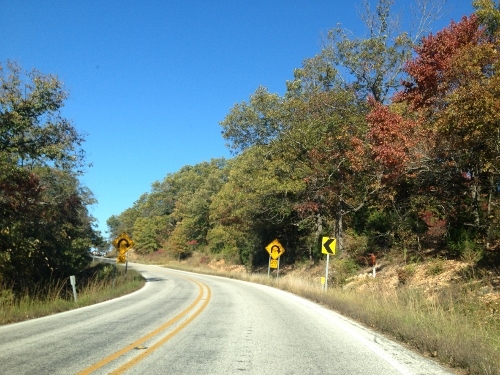 One of my favorite parts of the country for viewing the beautiful autumn leaves is Northwest Arkansas. I also enjoy driving the narrow, twisting roads, shopping in the cute boutiques and antique shops. Oh, and eating. I love eating there! Because it’s not always rainbows and unicorns over here in plant-based, gluten-free land, I’m going to be honest in telling you that I had a bit of difficulty finding a restaurant for a nice dinner out in Eureka Springs. One restaurant’s website included a cautionary statement, basically saying if you eat gluten-free by necessity, they would rather you not dine with them. I was just about to pack a loaf of gluten-free bread and a jar of peanut butter when I discovered Local Flavor Cafe‘s website. I dropped them an email, asking which options on the menu would work for me. I got the most helpful message back from Connie, the manager. She let me know that everything is prepared from scratch, so most dishes are gluten-free. She said they had created a list of dishes containing gluten for their servers to reference, as it was a shorter list than the list of gluten-free dishes. She also made a few menu suggestions to me and even suggested trying the primavera over rice instead of pasta. HUGE relief to know we could enjoy a nice dinner out. We dined there on a Thursday evening during what is surely a busy time of year for leaf peepers. While not as busy as the weekends, we did have a 45 minute wait for a table. We window shopped along Eureka Spring’s historic main street for a few minutes, then snagged two spots at Local Flavor’s bar. While waiting for our table, we bumped into folks we know from the other side of our state. They had received a great recommendation for the restaurant. And then we made new friends from Denver, Chicago and Eastern Iowa who were visiting the same car enthusiasts event that brought us to town. I’ve had the chance to ask all of those folks about their dinner experiences and got only positive input. I wanted to share this because they are “regular” eaters without dietary restrictions. It’s good to know everyone dines well here. Before I tell you about the food, I have to tell you about our amazing server Rick. When I mentioned my dietary restrictions, he responded confidently with, “Ok, we’ll take great care of you.” Oh, if it could always be this easy! And easy it was. Rick took excellent care of us from salad to dessert. When he delivered our check, even in a busy restaurant, he said, “No rush, sit, enjoy, the table is yours as long as you would like.” While I try not to linger at a table when there is a significant wait for tables, I have felt rushed by servers who want nothing more than to turn a table. No rush here, only excellent service and a great deal of knowledge about ingredients and food allergies/intolerances. We started with a simple salad. Dressings are made in house. We both had the Garlic Parmesan dressing. You know that point where garlic becomes almost hot in a sauce, so full of fresh garlic that it’s zingy on your tongue? The garlic in this creamy dressing stopped just on the right side of that point. 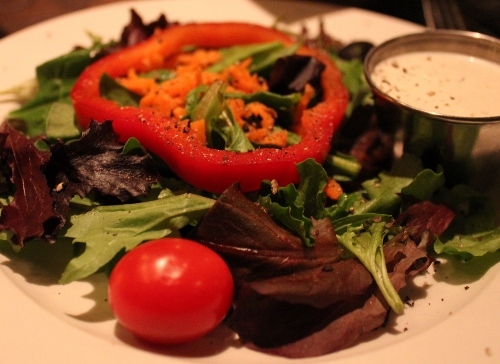 Had I not been in polite company, I would have licked any last bit of dressing off of my salad plate. My favorite fella, who has more proper ideas than I tend to, said they should perhaps bottle that dressing. 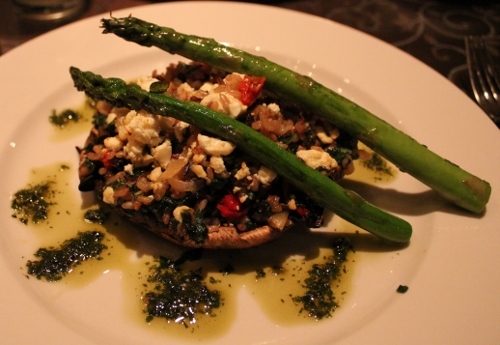 I had the Stuffed Portabello with organic wild rice, feta, spinach, fresh mint, caramelized onions, sundried tomatoes and basil, topped with grilled asparagus spears. Had you tried to take the last bite of this away from me, I would have stabbed you with my fork. I’ve had more than my share of vegetarian mushroom dishes. This was by far the best I’ve had at a restaurant. It was a perfect medley of Mediterranean flavors. My favorite fella had the Pasta Primavera. Following Connie’s recommendation, he ordered it over rice instead of with pasta. Rick, our server, said he often eats this dish over rice as well. It was a terrific recommendation. 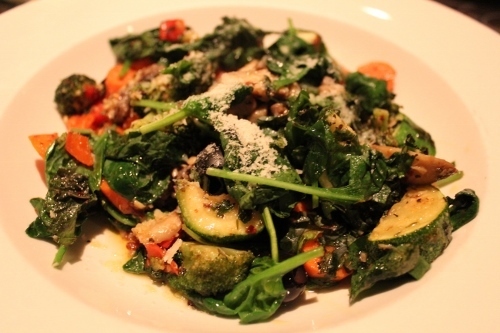 The vegetables have a hint of smoky flavor and the portion was more than generous enough for a veggie entree. We had no intention of having dessert here, but there were three gluten-free dessert options and it just seemed the right thing to do to sample one. Well, that, and creme brulee may be my absolute favorite all-time dessert. 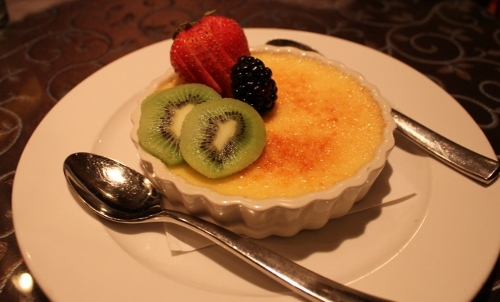 We debated between the chocolate lavender creme brulee or the vanilla bean creme brulee. We went with the true classic and it did not disappoint. I once heard Chef Michael Symon say when he is interviewing a new chef, he asks them to make him an omelette as a test of their ability to make a tried-and-true classic. If I were in his position, creme brulee would be my dish of choice. While it’s simple and straight forward, some are definitely better than others. This one was among the best I’ve ever had. Speckled with vanilla, served with fresh fruit over the perfectly crunchy top. Heavenly. 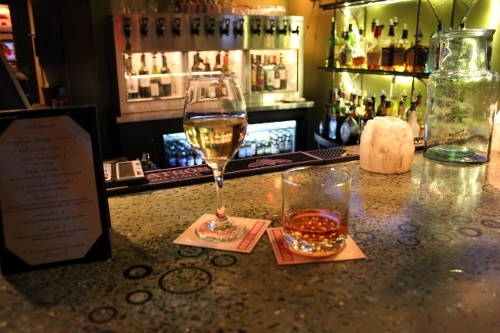 Local Flavor is open for Lunch and Dinner, as well as Sunday Brunch. There is a pay parking lot across the street as well as metered on-street parking curbside. Indoor and outdoor seating is available, however it was chilly on our visit so we dined indoors. We were seated by a window that looked out into a small waterfall. It was lovely! 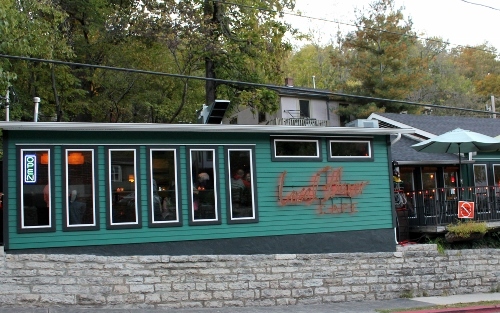 Local Flavor is located at 71 South Main Street in Eureka Springs, Arkansas. 479.253.9522. Eat With: Minimal caution. Both the manager who responded to my email and our server were very knowledgeable and attentive to my needs. I’ve always wanted to go to Eureka Springs! If I ever make it, I’ll know where to go. So glad that you all found it and how fun that you ran into friends and met some nice folks there, too. I appreciate the write-up, Johnna! You must come visit! Great roads for a motorcycle trip, wonderful spots to eat and shop or just simply be.